Creating beautiful wooden ware with one’s own hands can be an intoxicating endeavor. 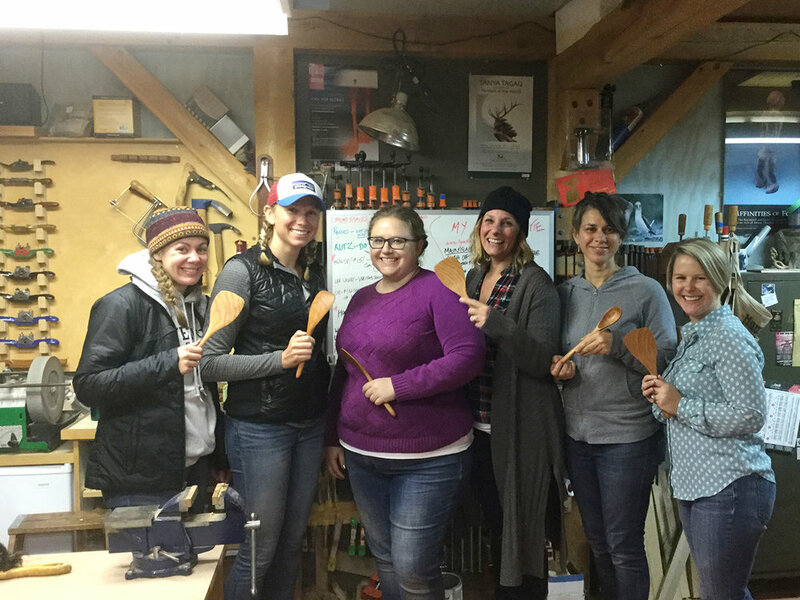 With the use of hand tools to craft a useful kitchen utensil, this one-day Saturday class will have you walking away with a completed project, ready to be used in your kitchen. I teach 4 levels of spoon carving. These spoons are examples of each level, starting from left to right: flat spatula (bird’s eye maple), tasting/stirring spoon (mesquite), deep-bowled serving spoon (curly maple), and deep-bowled ladle (cherry). All levels build on skills that advance to the next level. 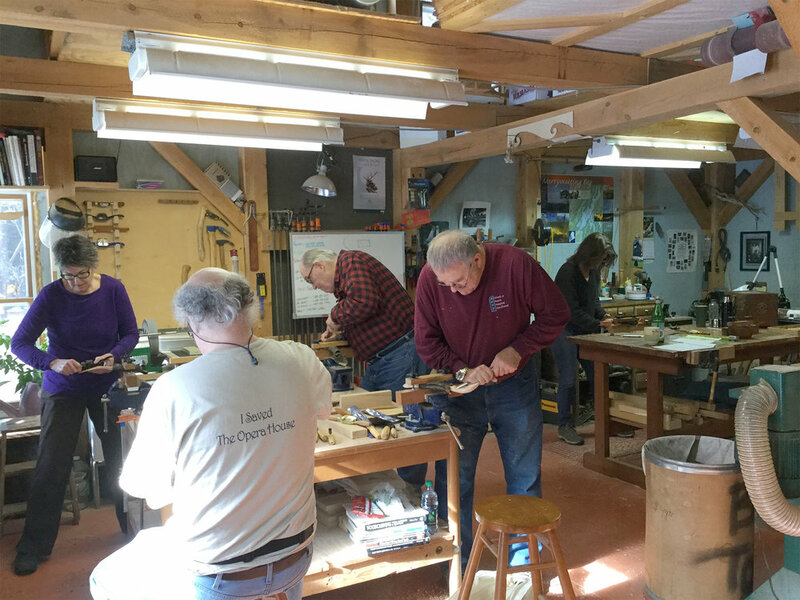 The Saturday class, held at my studio in Harpswell, is from 9:30 AM to 5 PM and includes sharpened tools and materials. Class sign-up allows me to contact you for future scheduling. Workshops are typically offered 4 times a year (January, April, July, & October), but additional classes may be scheduled depending on interest. For information and to be added to the mailing list, contact lbretondesign@gmail.com or call (207) 725-9802. I loved taking Lynette's carving classes. What fun! A fine teacher, she conveys a profound reverence for and knowledge of wood as a continually living entity. She knows her tools well and easily conveys their use to the student. 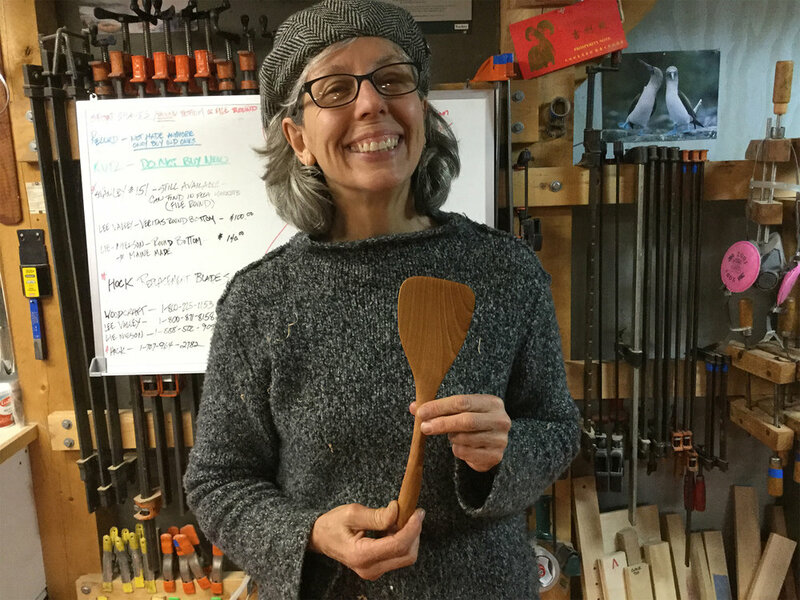 Creating a warm and safe atmosphere even for beginners, she provides all the materials for a satisfying experience, and at the end, you have a lovely wooden utensil of your own making. 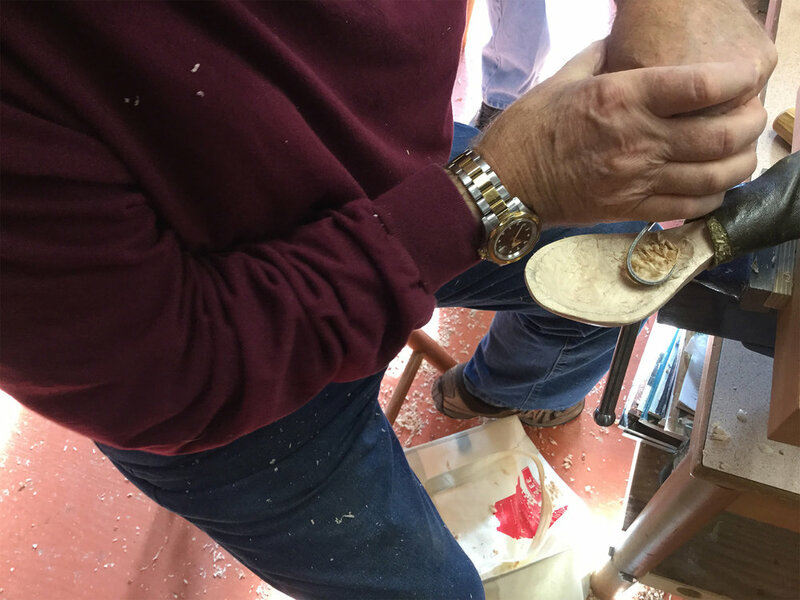 In addition to my usual 4 annual classes, I offer private group classes in spoon carving as well. Below are 2 photos from a recent workshop organized by a group of friends from Kittery, Maine. Great fun was had by all, and beautiful work was done by all! 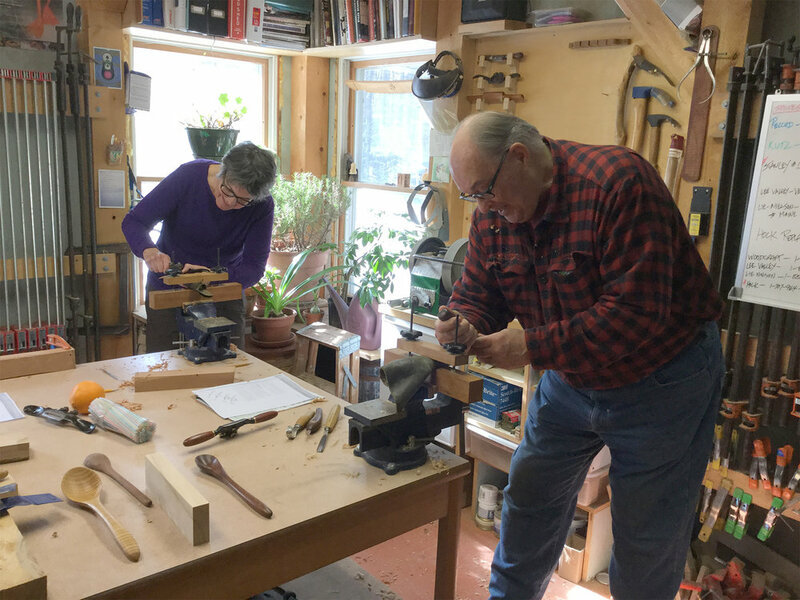 With my studio located on the beautiful Harpswell peninsula, renowned for its scenic beauty and 216-mile coastline, why not schedule a group vacation and include a private spoon carving workshop as part of your adventure? For more information or to schedule, please contact me at lbretondesign@gmail.com or call (207) 725-9802.